You are invited to a book signing featuring José Ramirez graduate of the Bishop Kenny High School class of 1963. 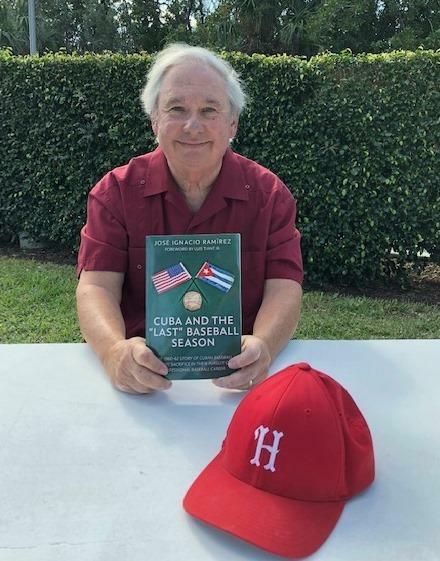 Author of “Cuba and the ‘Last’ Baseball Season” José will be present for a book signing and presentation in the Demetree Learning Commons. In this most recently published book with a foreword written by Luis Tiant Jr. Red Sox Hall Fame member, Mr. Ramírez writes about a lesser known story about baseball players in Cuba and in the U.S. Minors who learned of their inability to pursue their dreams to play professional baseball in their home country. This came about following the decision by the Castro regime to abolish professional baseball at the end of the 1960-61 season. Players were faced with the dilemma to either leave behind their family, home, friends and their beloved homeland, in order to play baseball professionally knowing they may never see them again. The alternative was to stay at home and pursue a different and uncertain way of life. Seeking advice from their parents given their very young age or very trusted people became a necessity. This is not simply another baseball story, it is about the personal struggle these men and their families endured, and the heart-wrenching judgement they had to make. Travel and playing in Jacksonville, Fernandina Beach and Palatka Florida became part of this experience. For more information contact Sheila Marovich: advancement@bishopkenny.org. We hope to see you there!